It can be important to have a solid foundation with a sharp understanding of the underlying rules and philosophies that drive some of the tactical work that must get done. This will help you make smarter investment decisions with regard to SEO (whether finding/hiring people to help you or figuring out what they’re doing and why). If you plan to invest heavily in SEO and don’t have budget for a dedicated leader to delegate your marketing decisions to, I’d recommend taking some classes, reading up and practicing some exercises as if you were going to be managing SEO day-to-day. Put on your ‘geek hat’ and practice a bit so that you can see how some of the basics work and why you may get different results based on choices you make later on. It helps to walk in an SEO Master’s shoes for a baseline understanding; from there it’s often a matter of reading to stay on top of things (like the latest Google algorithm and its implications). You’ll get a better return on your web and SEO investment if you take some time to get an education and to periodically check in on the latest goings on. Moz started as an SEO consulting firm and now builds tools like Moz Analytics in addition to creating educational resources to help the marketing community at large. In my opinion they are one of the best sources for keeping apprised on tips and getting top-of-mind tactical marketing questions answered. They have a fantastic blog and a “Whiteboard Friday” series that gives great advice on a variety of topics in an easy-to-understand manner. They also offer Moz Academy, Mozinars (live webinars), a Q&A Forum, and a plethora of Guides and other resources to learn about SEO (as well as other marketing best practices). I got certified in SEO using Market Motive’s self-paced online courses a long time ago for the same reason I’m telling you — to have a solid understanding of strategies, terminology, tactical basics and such. Even though I don’t manage SEO on a daily basis, I often need to make recommendations, oversee and/or manage its place in the marketing plan, so I need to be/stay smart. Market Motive’s co-founder Avinash Kaushik (who is also the Digital Marketing Evangelist for Google) presented many of the online classes I took and was phenomenal at talking about SEO in a way that a novice could understand. Super clear, engaging instruction. Google of course is a driving force in the land of SEO, therefore you might want to bookmark Matt Cutts’ blog. As the head of Google’s webspam team he’s the voice of Google’s algorithm changes and often opines on implications and best practices (related to Google) that can impact your SEO. KISSmetrics is an analytics firm that helps businesses learn more about their customers. 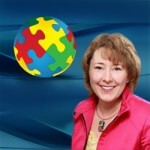 They have a great blog and Slideshare channel with helpful insight and practical tips on a variety of trends. They also have a selection of Marketing Guides such as the 3-part series ‘An Introduction to Search Marketing’. Great resource. 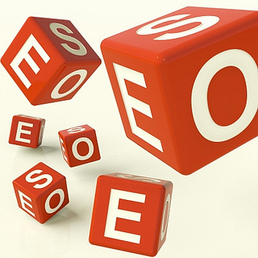 There are many other blogs and training resources on SEO best practices. Once you feel reasonably competent in SEO basics, the challenge is keeping up with changes in the landscape. You have a business to run and clients to serve, so it’s hard to carve out time for SEO, but it’s good to have the knowledge of how and why SEO works, particularly if it’s your primary lever to drive revenue. Good luck out there and let me know if I can help.